He was an Instructor of Agriculture at the Cherry Valley High School. 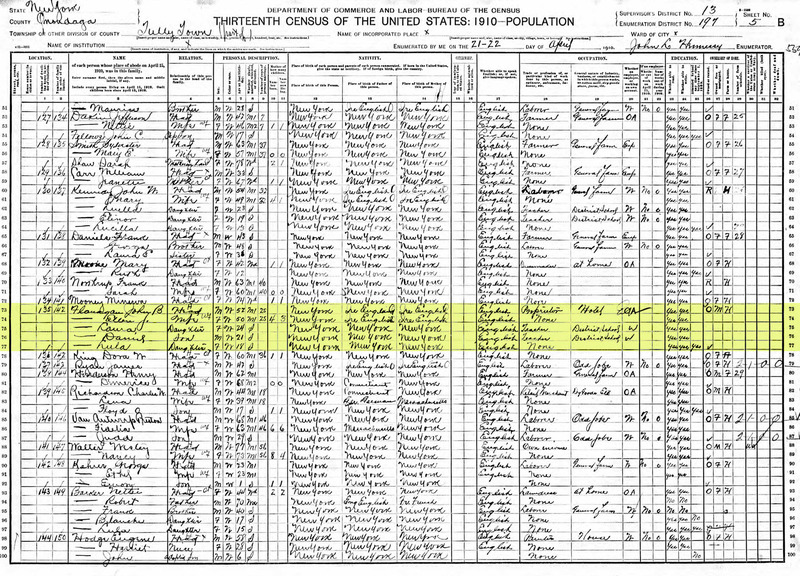 He resided at the time of the WWI Draft Registration. Served as a Private in the U.S. Army during WWI. He became the first Democrat elected district attorney of Madison County. He practiced law and became a prominent attorney & educator & was a senior partner of the Flanagan & Mitchell law firm. [S11] Obituary (Syracuse Post Standard), Syracuse Media Group, (Syracuse Post Standard), Pg 10-11 (Reliability: 3), 8 May 1967. [S48] U.S., World War II Draft Registration Cards, 1942, Records of the Selective Service System, (Natonal Archives), Record Group 147. (Reliability: 3), 1942. [S4] WWI Draft Registration Card, United States, Selective Service System (Reliability: 3), 5 Jun 1917. [S26] Obituary (Syracuse Herald), Syracuse Herald, Pg 14 (Reliability: 3), 2 Mar 1935.